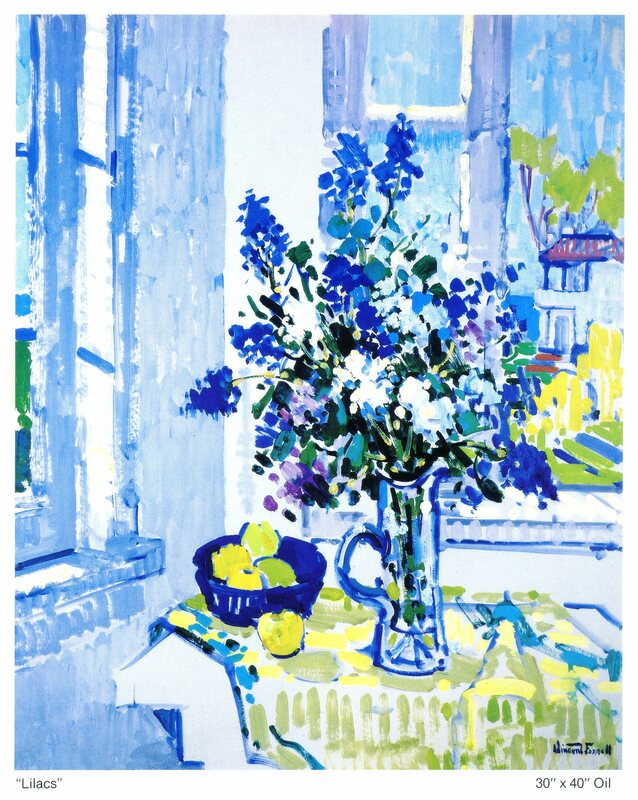 Susan Van Brackle , editor of Home and Hearth Magazine wrote a lovely article about the art of Vincent Farrell. In addition to this new article Susan wrote, I had an amazing experience working with her on the online gallery exhibition which ran on Home and Hearth Magazine from April 20th-28th, 2012. 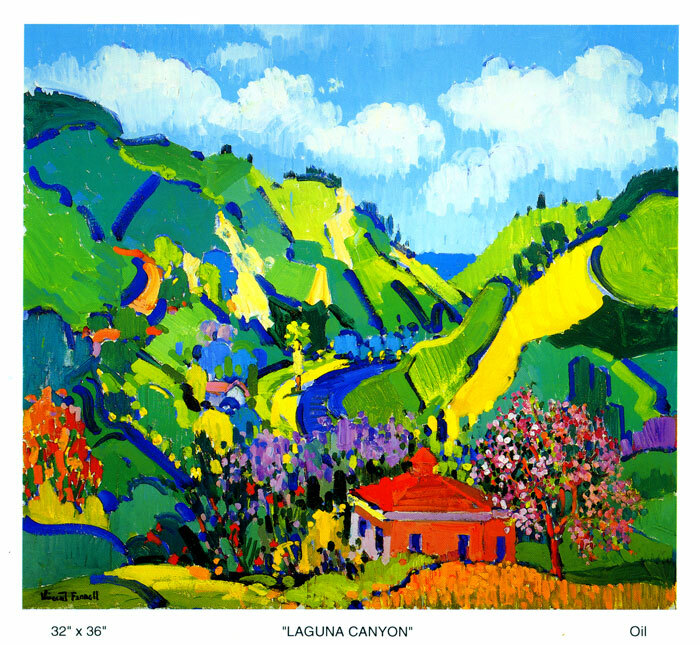 The painting “Floral with View From El Moro” was featured in the online exhibition among other works created by artist Vincent Farrell . To read Susan’s article please click here. For all of you I wish you a wonderful Mother’s Day! 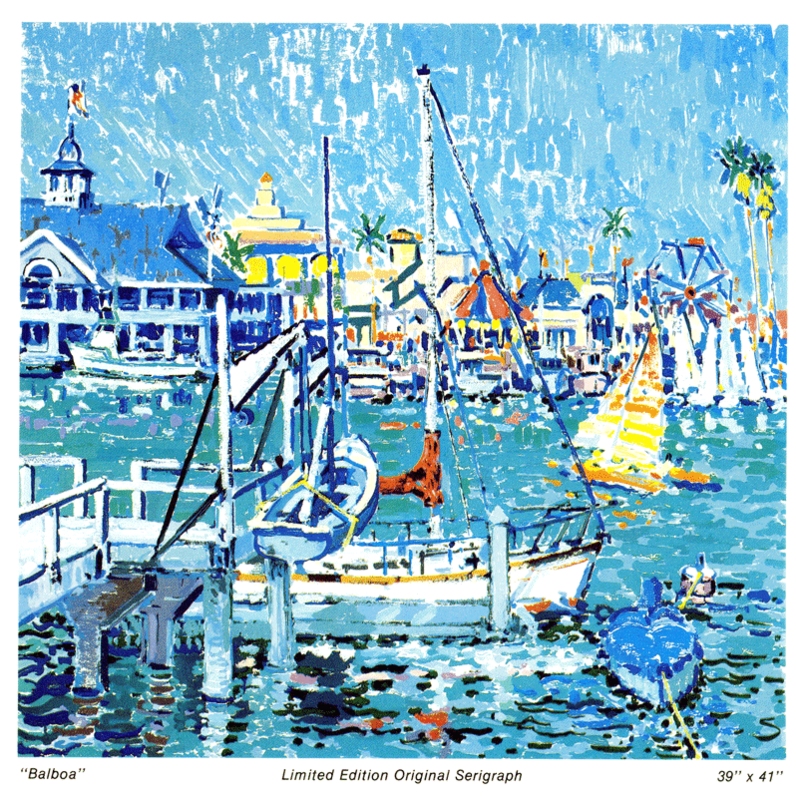 Vincent Farrell published a limited edition serigraph series of “Moon Over Chicago” with his friend Grant Antik. The original oil painting was painted from Grant’s Lake Shore Towers apartment on the 32 floor with a beautiful panorama of Chicago. 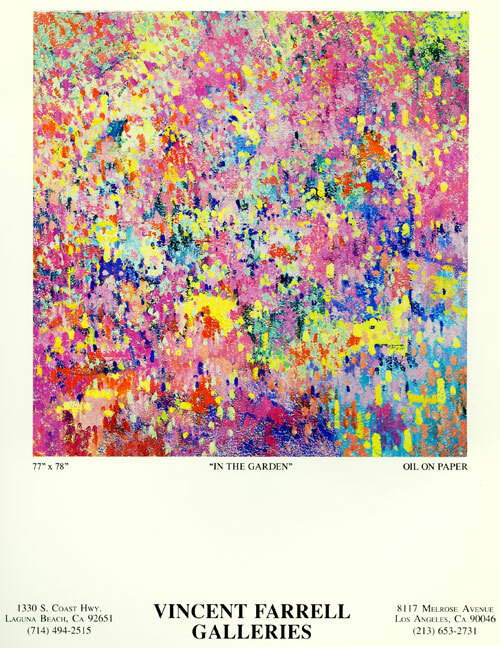 In 1980 this painting was created and graced the back cover of the “Monet’s garden” brochure which announced the mid August summer exhibition . A scene painted by Vincent Farrell in a very loose and free-form . A single application of paint in some parts of this painting with the canvas visible, as he used the white linen canvas to express the highlights on the rocks in the foreground. This subject matter came very easily to him , which often happened in his work when he was richly inspired, the painting was created in 1979. This painting created by Vincent Farrell (1928-2008) is oil on linen and has a limited edition signed and numbered lithograph print available for purchase. 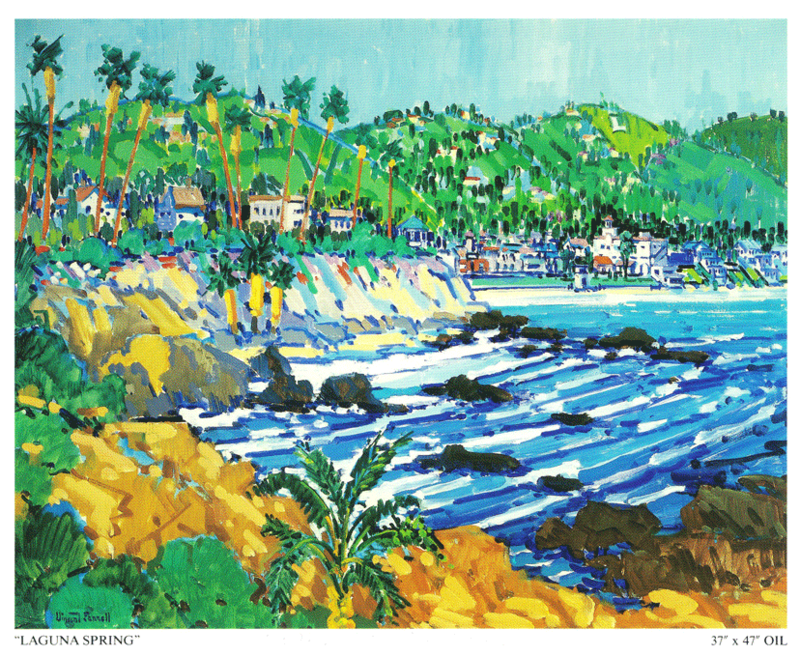 This colorful scene captures the pristine coastline of Southern California’s Crystal Cove, which is now known as Crystal Cove State Park, a nature lovers paradise.